Wonderful offering! 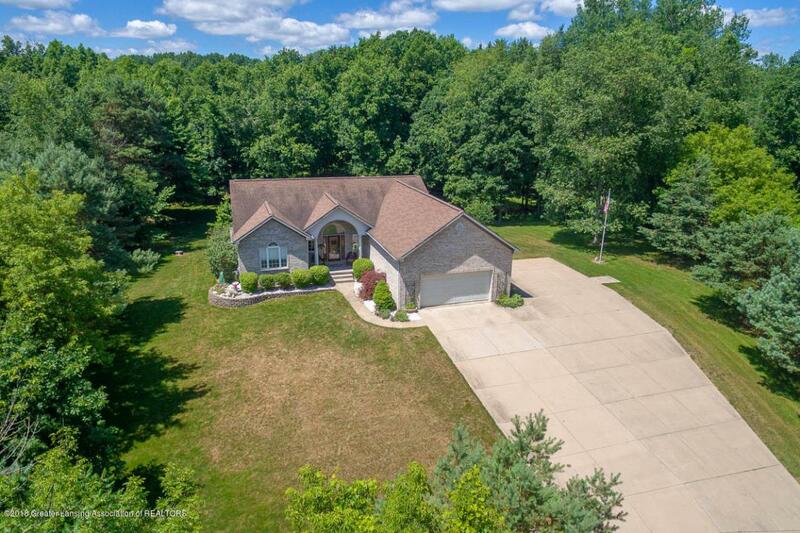 Stunning walk-out ranch setting high up on a spacious 3.9-acre private lot with amazing views in every direction. 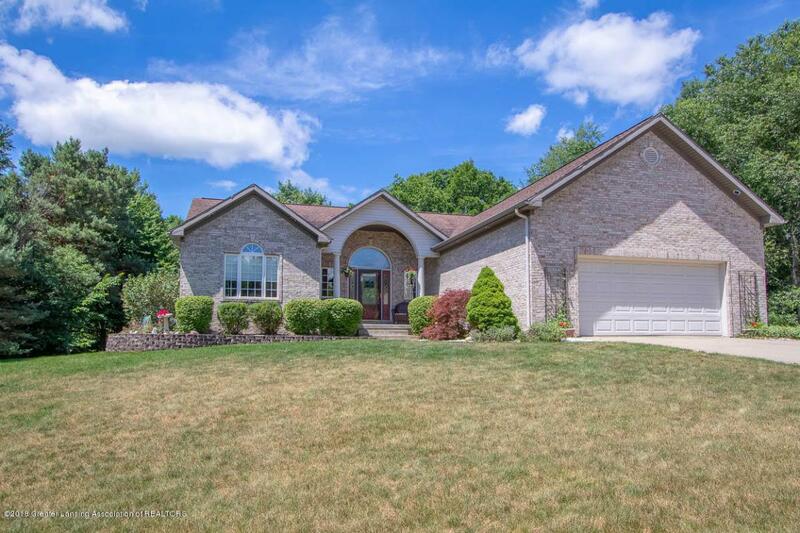 Enjoy the spacious foyer with hardwood floors and open staircase leading to the professionally finished lower level including 2 large bedrooms, full bath, and spacious rec room with sliders leading out to the over-sized stamped concrete patio with sunsetter awning and screened-in porch. Lovely study. The fantastic kitchen with over-sized eating bar, beautiful oak cabinetry, and roomy oak pantry, opens to the informal dining area with hardwood floors and wet bar with built-in wine rack. Beautiful 4 seasons room overlooking the lovely wooded lot, with a screened porch underneath! Custom 3-sided gas fireplace. Half bath. Solid 6 panel interior doors.The open almost 300 sq. ft. living room offers special vaulted ceilings. Amazing master suite with balcony, double walk-in closets, and a spectacular bath including a whirlpool tub, double headed stand-up shower, double sinks, and separate vanity area! 1st floor laundry room with built-ins. 14000 kw on demand natural gas Generac whole house generator with surge protector. Large pole barn offering a 20X30 work shop and a 20X30 tractor & tool shed as well! Low Eaton County taxes. Easy access to highways and to the GM Delta secondary complex. 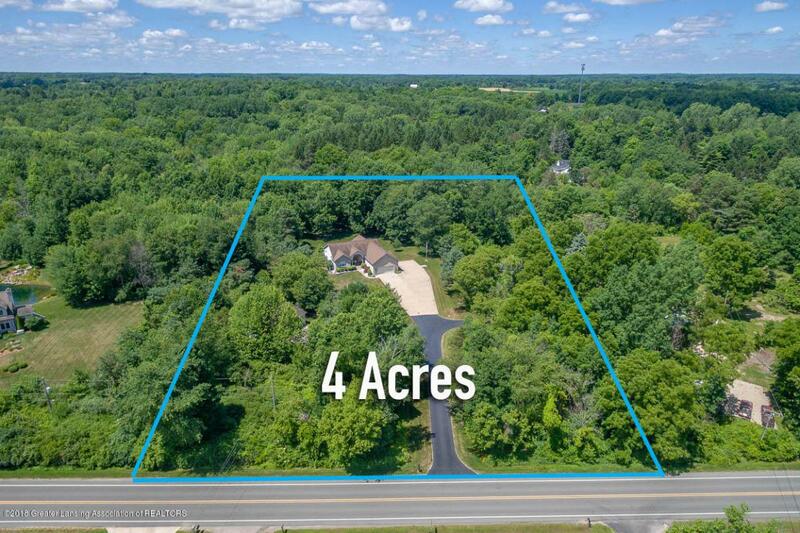 Only minutes to downtown Lansing. Seller reserves: Steel shelves in the garage, basement, & pole barn and front U 0f M storm door. 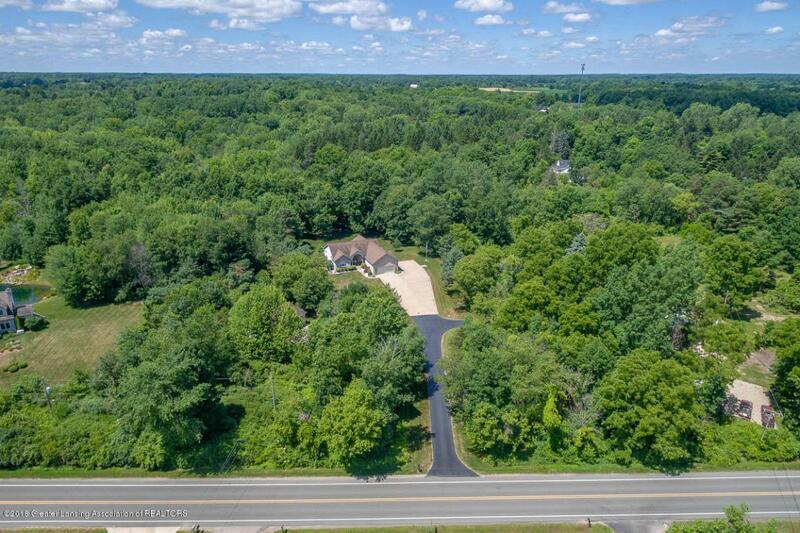 Driveway BlacktopConcrete Exterior BrickVinyl Siding Garage 2 CarAttachedDoor OpenerFinishedPole Barn Land And Acreage 2+ Thru 5 Acres Lot Dimensions .